As the weather gets warmer, people often find themselves spending more time outdoors than they did in the past months. Summer is right around the corner, which brings the promise of afternoon walks, water activities, and picnics. The opportunities are endless! With these activities also come the dangers of the sun's harmful rays. In this blog post, we look at some easy ways to protect your skin during the summer months, along with some common misconceptions about skin protection! Our eyes are arguably one of the most important of the five senses, so why not do everything you can to protect them? Many people often forget that eyes need as much protection as our skin. Unfortunately there is no such thing as sunscreen for eyes- but fortunately for us there are sunglasses! 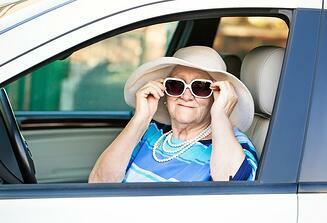 Wearing sunglasses can block up to 99 percent of UVA and UVB rays. It is a common misconception that sun damage is only a threat during the hot summer months, but this is not the case. Damage to the eyes from the sun’s rays can happen 365 days of the year. No matter what the season, don’t forget your shades before you walk out of the house! If you don’t want to have to remember to grab your sunglasses every time you go outside transitional lenses are a great alternative! These are glasses that are completely clear indoors and darken in response to light levels when you go outside, giving you the ultimate protection at all times! Not a prescription eye glass wearer? No problem! They make transitional lenses with no prescription to protect eyes no matter what the situation. Another great way to provide protection for your eyes is to wear a hat. When choosing a hat, opt for one with at least a 3 inch brim. This will provide shade over your eyes, protecting them from direct UVA and UVB exposure. Plus, who doesn't love an excuse to buy a new hat? It is widely known that clothing is the first line of protection against the sun's harmful ultraviolet (UV) rays, but what many don't know is that there is clothing designed specifically to provide advanced protection! There are many different brands that provide UPF (Ultraviolet Protection Factor) designed clothing. UPF rating is similar to SPF (sun protection factor) but the main difference is that UPF indicates how well clothing filters out UV rays, while SPF only indicates how long you can remain in the sun before becoming burnt. These clothing pieces take into account the fabric's weave, color, weight, stretch and fiber to formulate a product that provides the most protection possible. UPF clothing comes in all sorts of varieties, from shirts to hats to rash guards that you can wear in the water. When choosing clothing in the summer, opt for lighter colors, as white and pastels tend to reflect UV rays, while dark colors like blacks and highly pigmented dyes absorb them. The next line of defense after clothing is the use of sunscreen. Of skin protection measures, sunscreen is normally the first thought that pops into people’s heads, and for good reason! SPF sunscreen of 15 or higher is your best bet to protecting your exposed skin. One common mistake that people make is waiting to apply sunscreen until they are already outside. 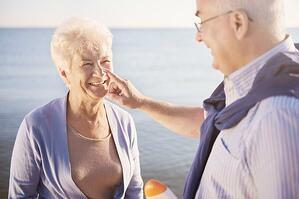 To ensure the highest level of protection, do your best to apply sunscreen 30 minutes prior to going outside. This gives your skin ample time to absorb the sunscreen and live up to its protective capabilities. Another thing many people do not think about is sun exposure in cars. The car has windows and provide shade, so you can't get burnt while riding in a car, right? Wrong. A study in the Journal of the American Academy of Dermatology showed that 53 percent of skin cancers appear on the left side of the body, or the driver's side. This is likely because the left side of the body is exposed to the most sun either from an arm hanging out the window, or even the angle the sun comes in through car windows. Don't forget to put your sunscreen on before you go out for a drive on a sunny day! Although all of the previously listed protective measures do a great job of helping to prevent burns, it is still a smart idea to seek shade, particularly between the times of 10 a.m. and 4 p.m., when the sun’s rays are the strongest. 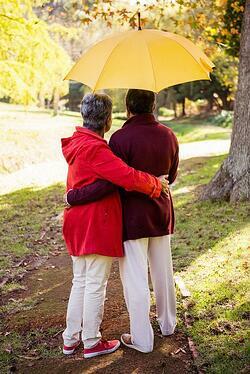 If you are in an area that has no natural shade, bring an umbrella! Not only will this filter harmful UVA and UVB rays from reaching your skin, but it will also help to keep you cool during a hot day! Although shade is another great measure to help prevent skin damage, do not be fooled: you can still get burnt in the shade, so make sure to still apply your sunscreen. No matter how thoroughly you protect yourself from the sun's harmful rays, it is important to monitor yourself for any irregularities on your skin. Things to look for include, but are not limited to, jagged shaped moles or freckles, pale, white, or red patches, wart like growths, flaky patches, or anything out of the ordinary. For more information on what to look for during a skin self examination, visit the American Cancer Society's guide to early skin cancer detection. By practicing regular skin examinations, you can familiarize yourself with your skin so you recognize when something new or different appears. Take a look at this step by step guide to conduct a skin self examination provided by the American Cancer Society. Examine your face, especially your nose, lips, mouth and ears — front and back. Use one or both mirrors to get a clear view. Whether it is sunny or cloudy outside, you should keep your skin in mind. There are many easy steps that can be taken to help prevent skin cancer and keep you out of the doctor's office. The number one thing you can do is to be proactive! To help keep you or your senior loved one accountable, check out and print our summer survival checklist!